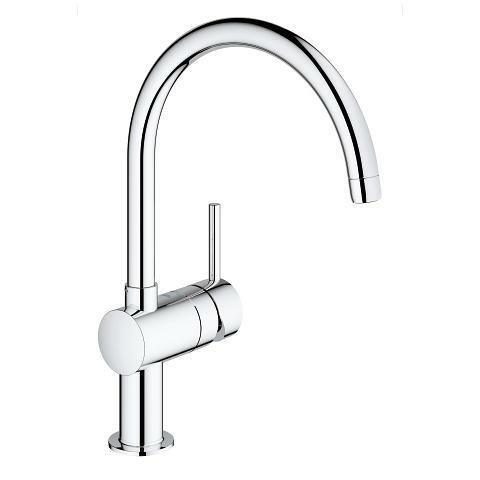 Crafted with an elegant U-shaped spout, this GROHE kitchen tap is a real eye-catcher that offers a variety of features to turn your kitchen work into a more comfortable experience. 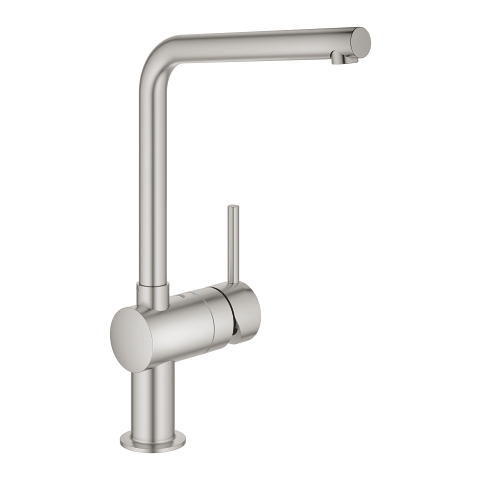 With its high spout, even large pots are easy to fill, and its 360° swivel range is especially convenient for sinks with two basins. 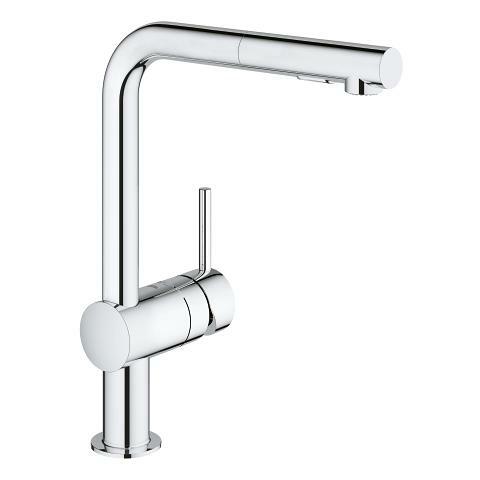 The pull-out shower head further extends your operating radius, allowing you to reach all areas of the basin without difficulty. 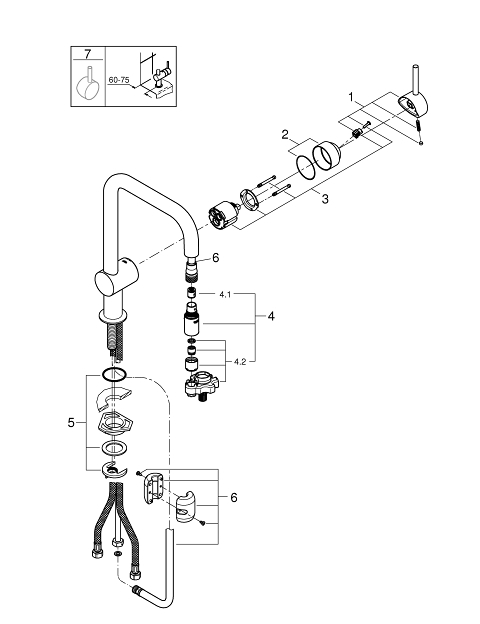 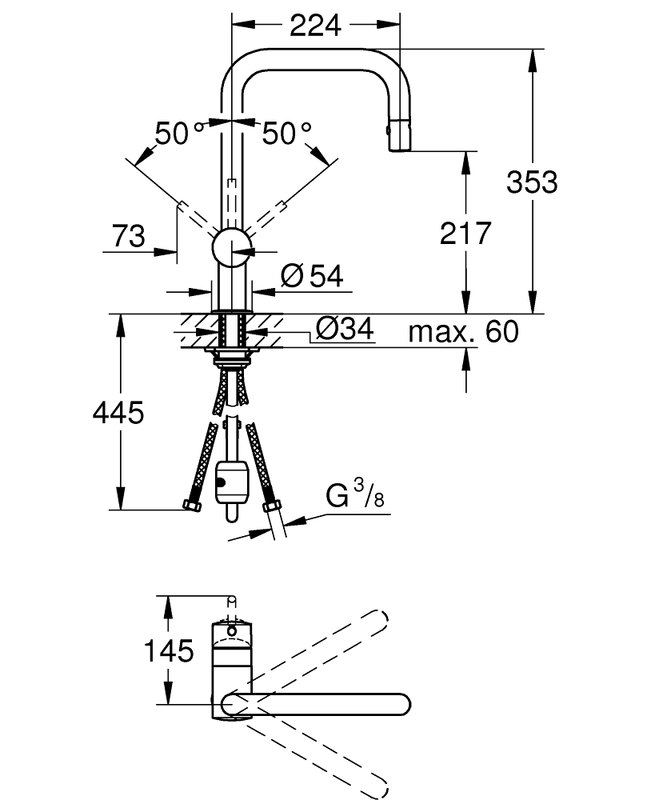 It also provides the option of switching between a fine spray jet and a powerful shower jet as needed. 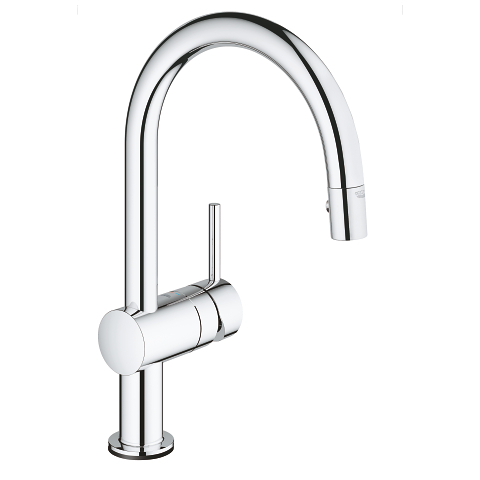 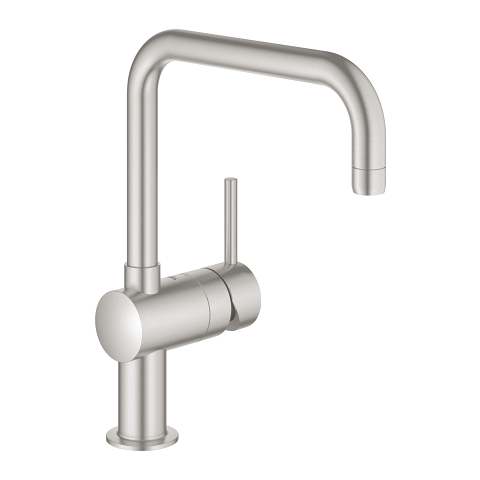 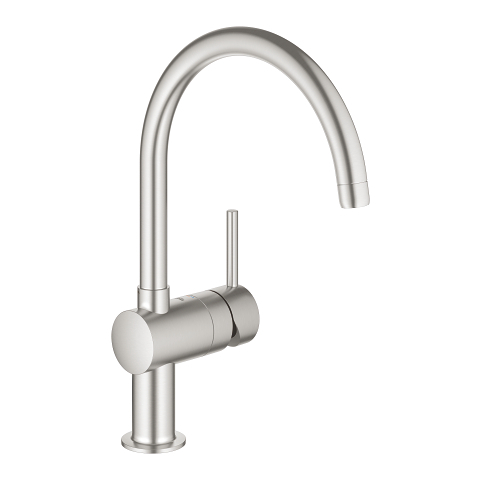 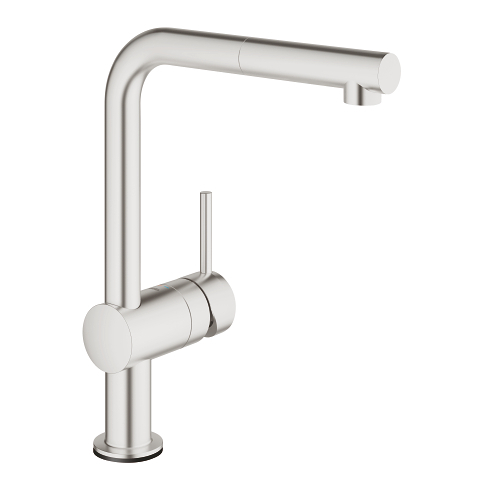 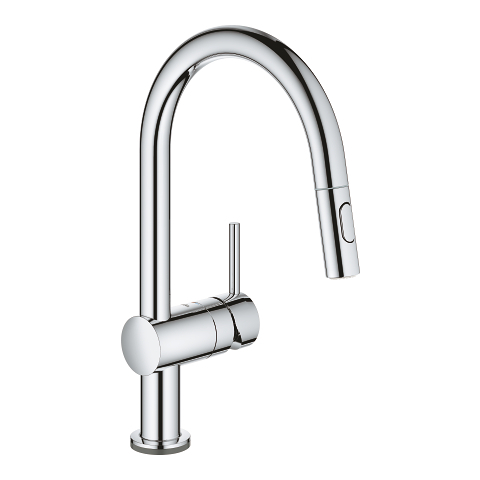 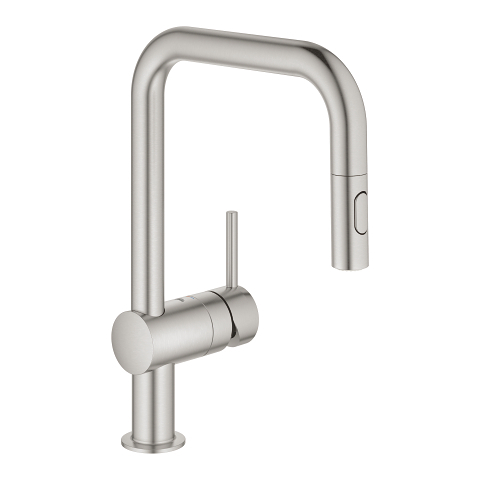 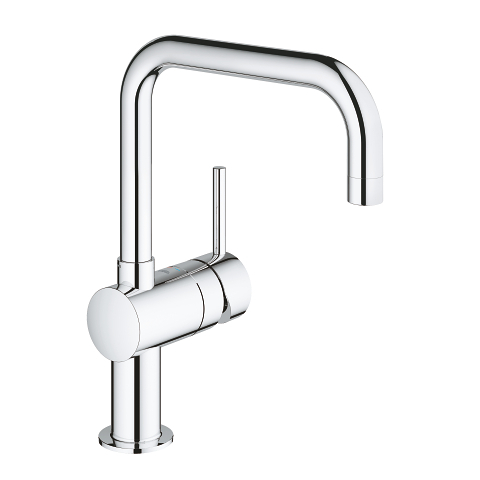 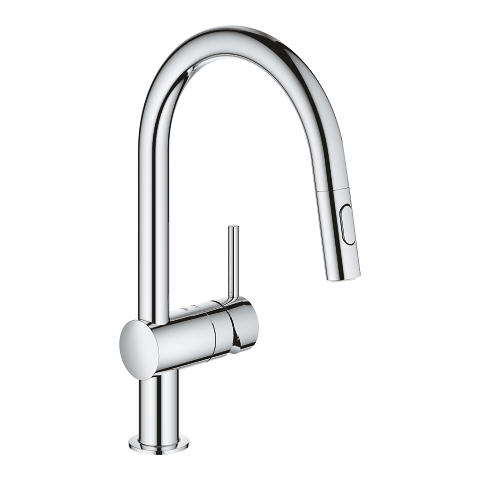 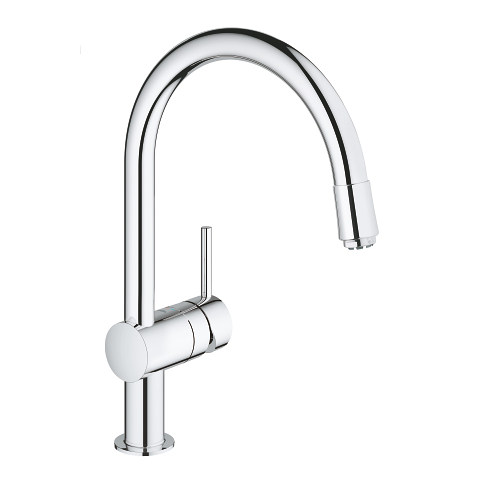 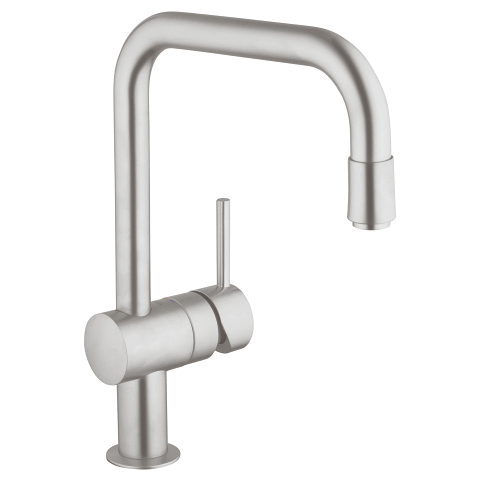 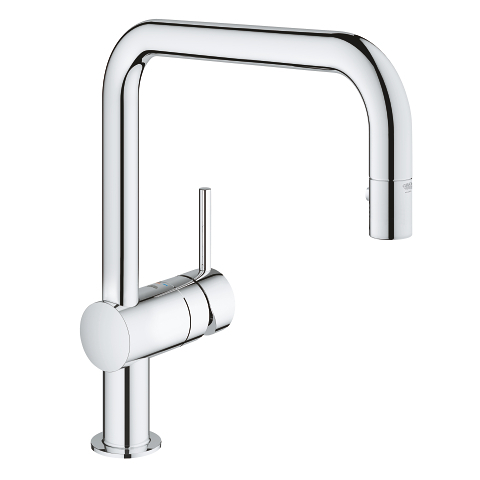 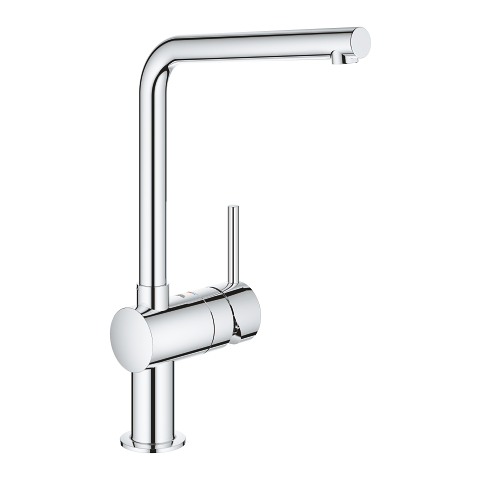 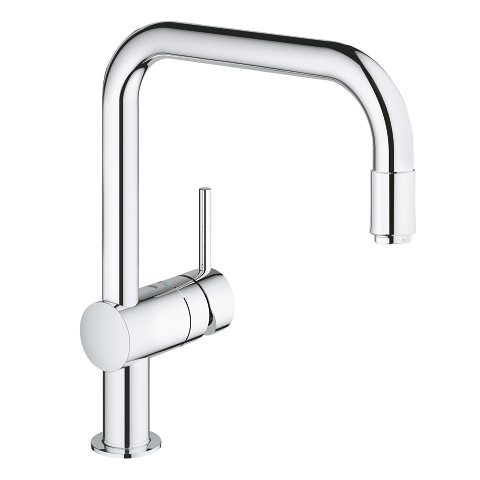 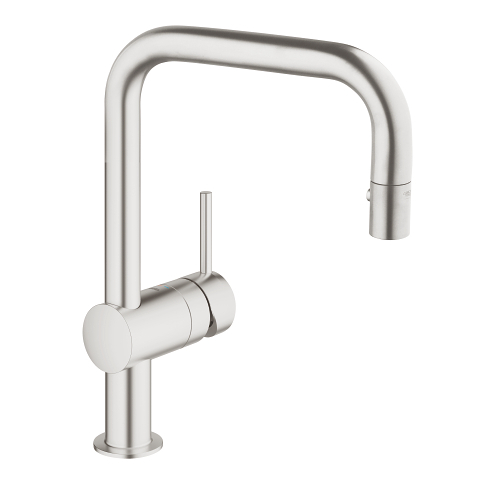 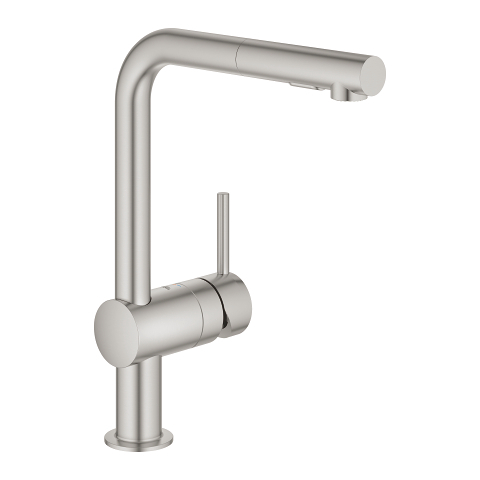 Finished in GROHE SuperSteel for a matt stainless steel look, this tap will add an attractive accent to your kitchen.